JALALABAD -- Afghanistan's air force is playing a pivotal role in the fight against militants and terrorists hiding out in the country's mountainous terrain. The increased capability of the air force has dealt heavy blows to both the Taliban and "Islamic State of Iraq and Syria" (ISIS), Ministry of Defence (MoD) officials say, pointing to air strikes that have killed hundreds of militants, including commanders, in recent months. "The Afghan air force conducts between 90 and 100 flights daily and has achieved excellent results," MoD spokesman Gen. Mohammad Radmanesh told Salaam Times. "That prowess is poised to increase," he said, adding that the U.S. military has pledged to "fully equip" the Afghan air force by providing additional bombing-capable fighter jets during the next three to five years. The Afghan air force has more than 150 aircraft, and mainly uses A-29 Super Tucano, C-130 Hercules and C-208 Caravan airplanes in its operations against militant networks. Gen. (ret.) Atiqullah Amarkhil of Kabul, a military analyst who served in the Afghan National Army, emphasised the importance of modern aircraft and equipment. "Considering the geographic location of Afghanistan, which is dry and mountainous, the air force can play a decisive role, provided we have a strong and modern air force," he told Salaam Times. The air force has been making remarkable achievements with its sorties, Radmanesh said. "For instance, on June 22 it executed 17 operations in 13 provinces and destroyed a large ISIS depot in Pacheragam, Nangarhar Province," he said. On June 11, an Afghan air strike destroyed a Taliban bomb-making factory in Nad-e-Ali District, Helmand Province, according to the MoD. The same day, Afghan security forces killed at least four high-ranking Taliban commanders and injured seven other militants in a separate operation in Maiwand District, Kandahar Province. On June 12, Afghan forces killed the local Taliban military commander in Nad-e-Ali District, and on June 15, an Afghan air strike killed 43 Taliban militants in Marjah District, Helmand Province. Also in Helmand Province, Afghan security forces killed 157 terrorists, including four Taliban commanders, and injured 36 others, a June 19 MoD statement said. Afghan artillery and air strikes destroyed a Taliban ammunition depot, ten combat and transportation vehicles, and other combat equipment, the statement said. "Seventeen Afghan security operations are under way, and if called upon, the air force stands ready to participate," said Radmanesh. Sanaullah, a 40-year-old resident of Helmand Province, expressed satisfaction with Afghan military operations, particularly those conducted by the air force. "Our forces have reached a high level of preparedness and capability," he told Salaam Times. "Over the past few days, the Taliban suffered many casualties in Helmand. So, on June 22 they hit back with a suicide attack in Lashkargah to take revenge on civilians for their own failure." 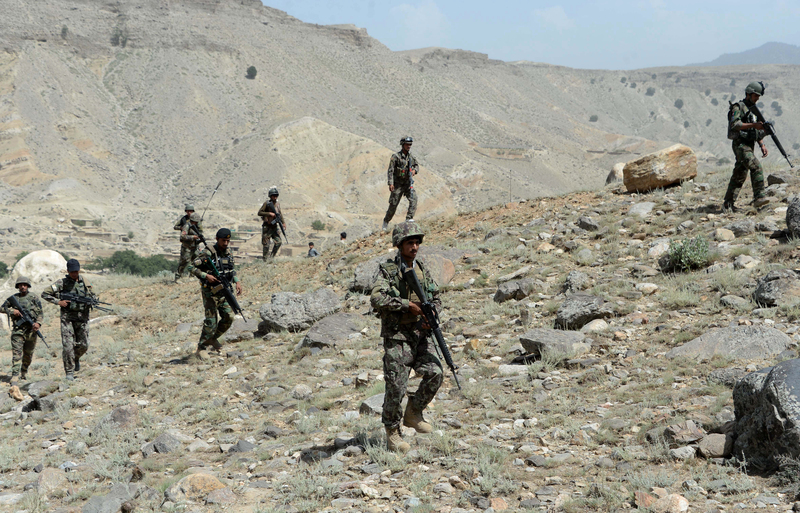 In another major blow to militants, Afghan security forces June 17-18 launched a swift and decisive operation to recapture Tora Bora from ISIS, foiling the group's plans to establish its Khorasan branch headquarters in Nangarhar Province. During a June 22 reconnaissance operation in Tora Bora, the Afghan air force discovered an ISIS ammunition cache, Radmanesh said, adding that a mine-clearing operation is under way. "Afghan forces will not allow ISIS to enter Afghan territory and will suppress it wherever it appears," he said. During the operation to retake Tora Bora, Afghan troops cleared ISIS from Pacheragam and Chaparhar districts and earlier cleared Kot and Achin districts. Afghans consider the air force indispensable in regaining control of this strategic location with its rugged terrain and mountain peaks. "ISIS members are ... exceedingly brutal, killing anyone who stands in their way," said Sanaullah, a Chaparhar District resident who fled to Jalalabad after ISIS took control of his district. "We fled out of fear, but thank God, our forces have done a great job and forced this barbaric group into retreat," he told Salaam Times as he prepared to return to Chaparhar. "Afghan forces have skillfully pounded ISIS from the air and ground until the militants either died or escaped," he said, adding that time is limited for those who escaped. "Considering Afghan security forces' equipment and the intense training they underwent, ISIS -- who have nothing but their ruthlessness and brutality -- cannot resist the Afghan forces," he said. 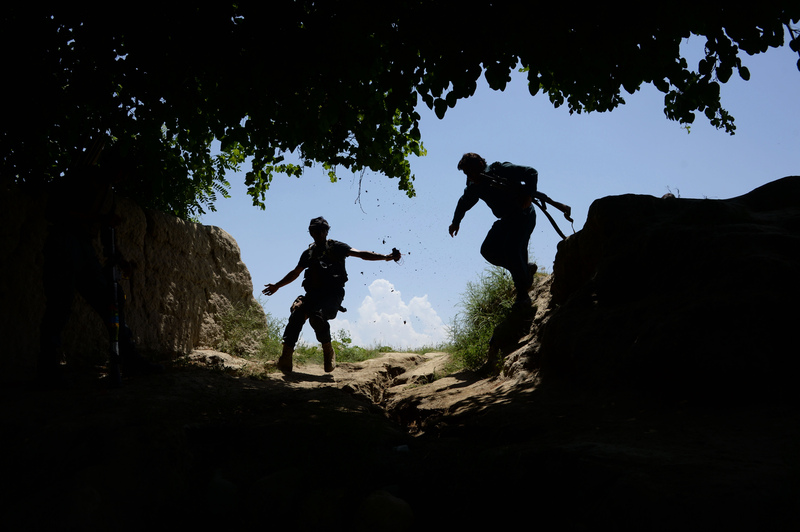 Khal Mohammad, a resident of Jawzjan Province, where yet another battle broke out between the Taliban and ISIS June 22, echoed the same confidence in Afghan security forces. "ISIS mostly fills its ranks with dupes and criminal thugs," he told Salaam Times. "They cannot resist the Afghan armed forces, who have undergone combat training and are committed to the country." Yes! I agree with the idea of equipping and acquiring modern war planes. We have learned from the past, when the might and power of our country's air force was able to topple governments, For instance, MIC-21 warplanes targeted and bombarded the government of Sardar Mohammed Daoud Khan, martyring the first President of Afghanistan. Moreover, Dr. Najibullah the Martyr, during his time in the office wanted to know the power and capabilities of his country's air force. For that reason, he ordered [Afghan] warplanes to conduct an exercise and reach the borders of Pakistan within 7 minutes. In 7 minutes, fortunately, they were able to even go beyond the territorial borders and then returned to their bases. Pakistan government became anxious, assuming it was an attempt to attack Pakistan. Therefore, they declared state of emergency. It was as if a doctor had scared a little child! Yes! We have a proverb that goes thus: "put a expert in charge of any task!" We won't be needing the cooperation of any country if special attention will be paid to our air force. In fact, if our air force is strengthened, then the enemies won't be able to bravely take positions anywhere, for they will be targeted and attacked. Finally, it must be mentioned that "a pilot is equal [in efficiency] with a thousand foot soldiers," because one pilot can conquer and defeat enemy in a location were thousands of other forces were unable to do so despite utilizing a great deal of ammunition, fuels, human and financial resources, loss of weapons and vehicles, etc. Very good. I especially thank National Army for their sacrifices for the country. They are expected to do more and more. Very excellent, very good! We want more successes for the Afghan National Army and especially for the special forces. Thanks. Death to Pakistan's terrorist-trainer army and ISI. ISIS planned to build the headquarters of its Khorasan branch in Nangarhar Province, but operations in the past month have put an end to those ambitions. After ISIS militants took control of the area from the Taliban last week, Afghan forces moved in quickly and are poised to battle for the cave complex.